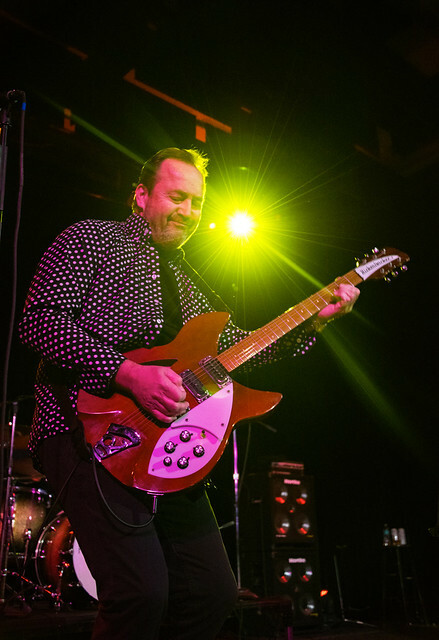 Posted on 01/23/2019 by Mark Caicedo	in Live Review and tagged hard rock, New Jersey, power pop, Robin Wilson, State Theatre, The Smithereens. 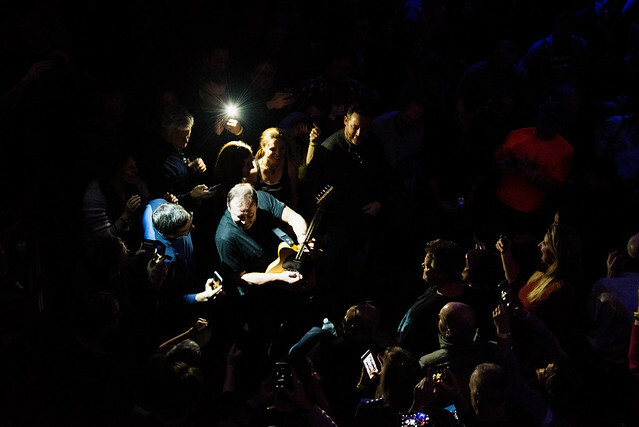 Much has been written about the redemptive power of rock and roll; its ability to transport us to another place and time or to a cherished memory — as well as its power of community and the way a widely disparate audience can revel in a shared moment of unparalleled spontaneous joy. 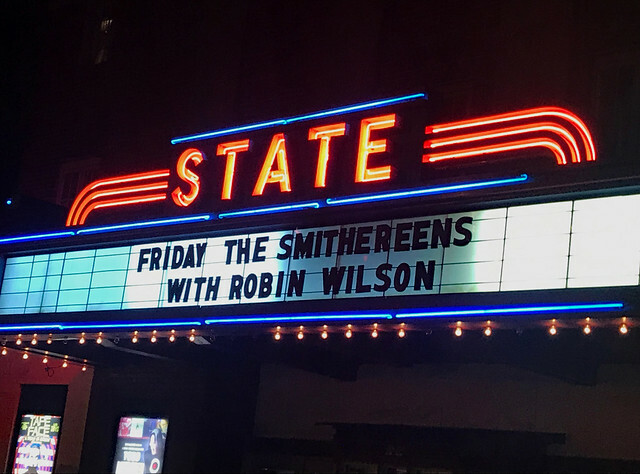 Those moments repeated themselves over and over at the State Theatre recently when The Smithereens featuring Robin Wilson dropped into town for their 19th performance at the historic Falls Church music venue. 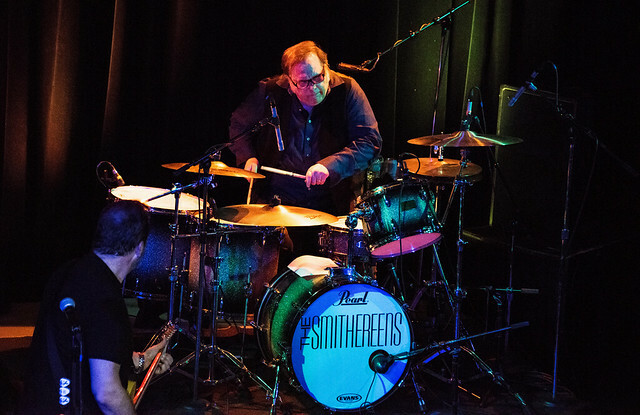 The Smithereens (Pat DiNizio: guitar, vocals; Jim Babjak: guitar, vocals; Dennis Diken: drums, vocals; Mike Mesaros bass) story began in Carteret, New Jersey, where Jim and Dennis met in high school in the early 1970s and began playing music together. 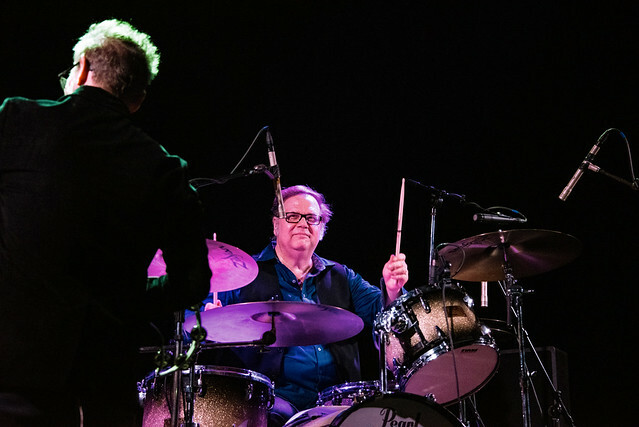 Mike and Jim were long-time friends, having taken accordion lessons together as kids, so he was recruited to play bass. 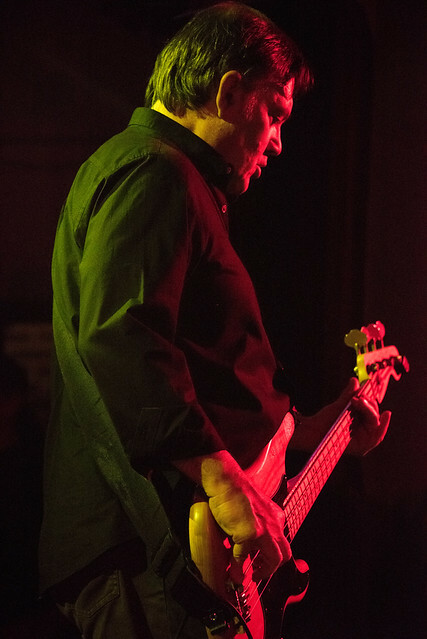 By the time the three met guitarist and singer Pat DiNizio from neighboring Scotch Plains in 1980, The Smithereens were a complete unit. But in what was a sad and terrible shock, Pat passed away in December 2017. The three founding members, with guest vocalist Robin Wilson (of the Gin Blossoms), hit the State Theatre stage with a smoking “Behind the Wall of Sleep.” From the opening power chords to the encore’s final notes, the energy level in the room was off the charts, each succeeding power pop gem blasting out in rapid-fire succession. 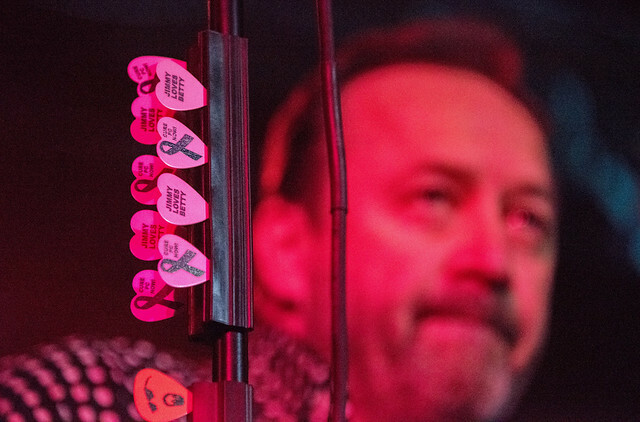 The proceedings briefly paused when Jim stepped to the microphone and said, “I’d like to say I’m sorry…but I won’t” just as the band launched into “Sorry,” from the album, 2011 (eOne Music). 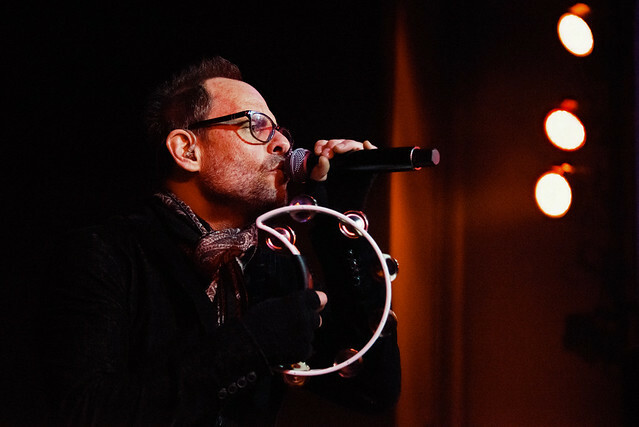 For nearly two hours, the crowd danced and sung to a literal hit parade: “Blues Before and After,” “Yesterday Girl,” “Cigarette,” “Top of the Pops.” But the best was saved for last. 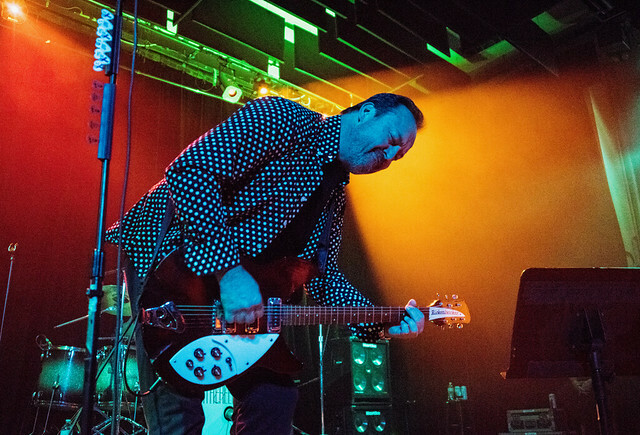 “House We Used to Live In” was followed by an explosive “Sparks” (from The Who’s Tommy) — a performance that paid tribute to one of The Smithereens’ major influences. 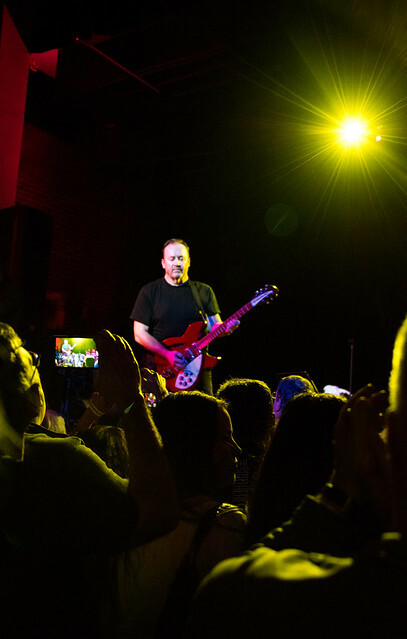 “Blood & Roses,” perhaps The Smithereens’ most recognizable and defining song, closed the show. 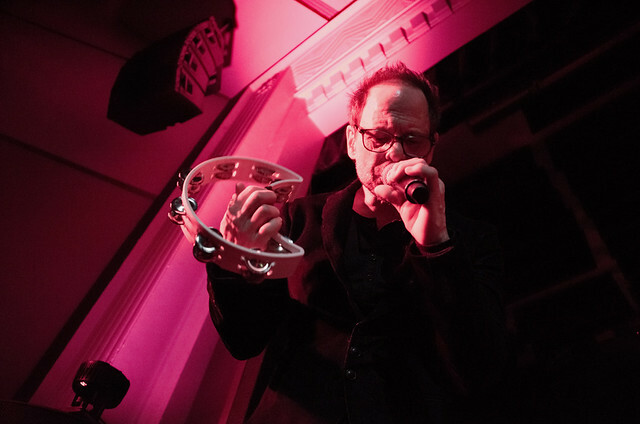 In a previous interview, Pat said of the song “I was walking home from my job as soundman at NYC’s legendary Folk City nightclub through the freezing rain at about four in the morning when the bassline came to me, the chords and melody came later built around the bass part.” The song’s music is both dark (that foreboding bass line) and sprightly (Jim’s jangly Rickenbacker guitar) — and the song defines what makes The Smithereens unique: hopeful and catchy melodies contrasted with lyrics that address life’s disappointments and tragedies (“…Roses” being about suicide). 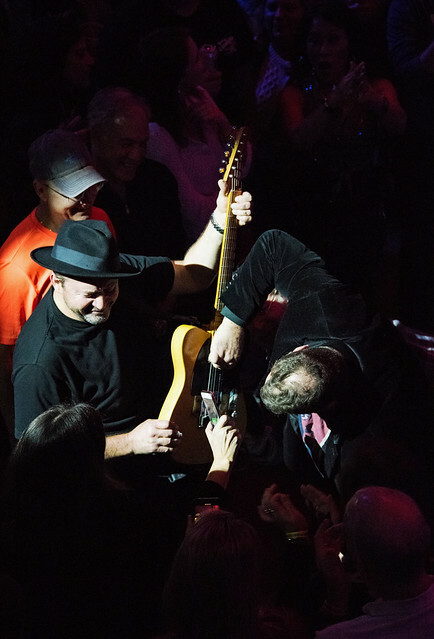 After the closer, the band returned with a cover of Lou Reed’s “Kill Your Sons,” and then the gents tore into Badfinger’s “No Matter What” (“This is one of the first songs we ever played together”). 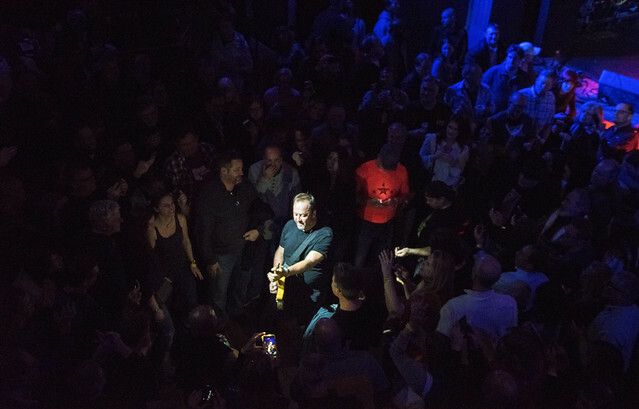 “Girl Like You” topped off a thrilling, emotional, and thoroughly satisfying night for the near-capacity crowd. 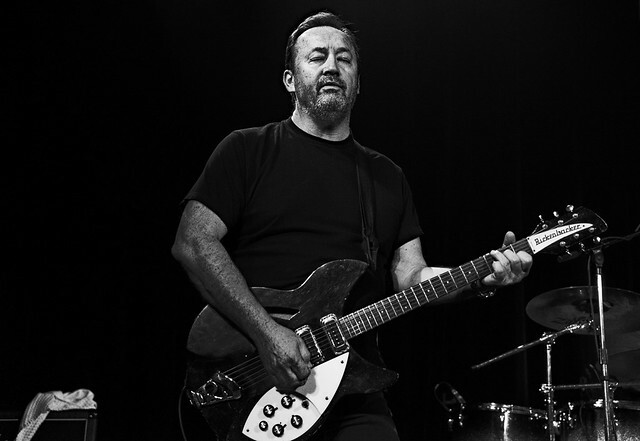 After Pat DiNizio died, the three remaining members decided to continue as a band. 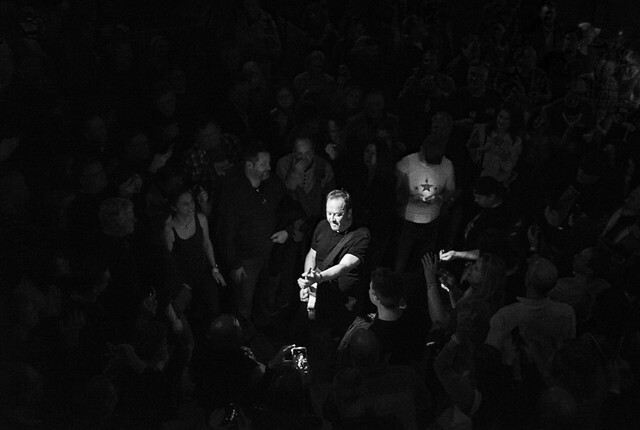 As Jim told Parklife DC earlier this month, “It’s about passion, our legacy, and as long as people keep showing up, we still wanna play.” And show up they did — dancing and singing practically every word of every song, cementing the connection between artist and audience, and proving that music performed with love and sincerity can transcend life and death. 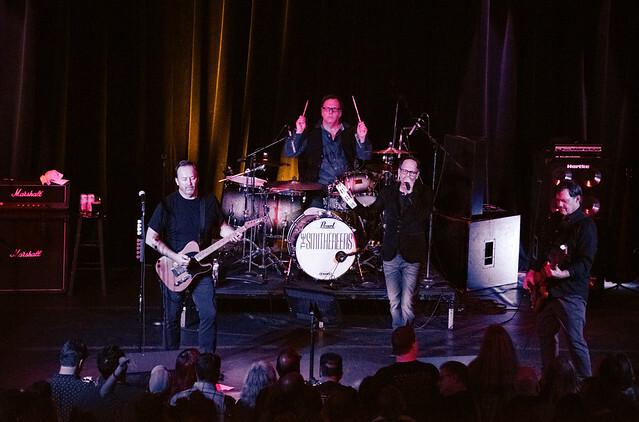 The Smithereens will continue on tour through 2019 with different singers taking Pat’s place. 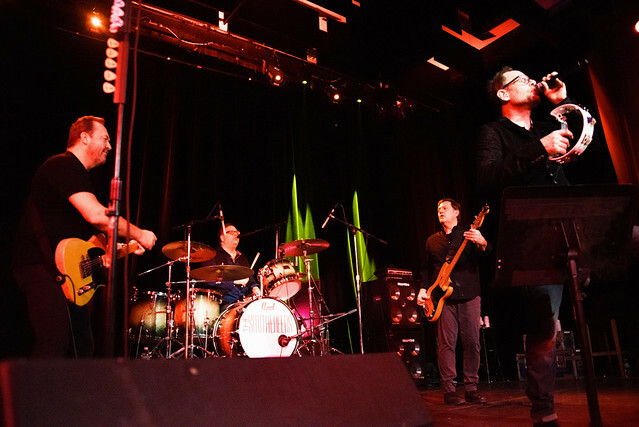 For exmaple, The Smithereens will appear again locally at Rams Head on Stage on June 22 with guest vocalist Marshall Crenshaw. Buy your tickets online. 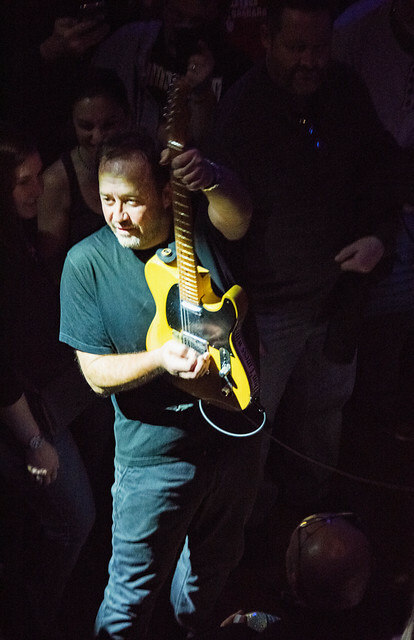 Here are some pictures of The Smithereens performing at the State Theater on Jan. 18, 2019. 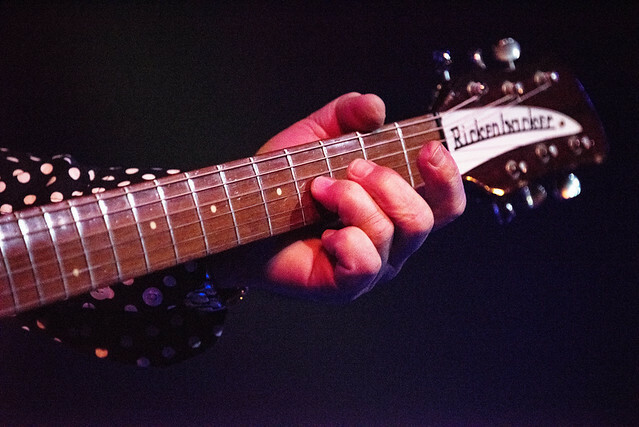 All photos copyright and courtesy of Mark Caicedo.